Free car parking! Stay in Titanic Hotel Belfast with any of our special packages in April and May and receive a complimentary car parking space! Click below to see all our packages. 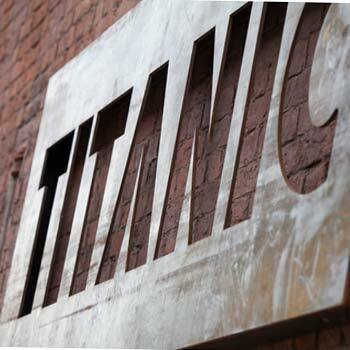 Situated at the heart of the Titanic Quarter, the legendary Harland & Wolff Headquarters and spectacular Drawing Offices are now the world's most authentic Titanic hotel, offering an unforgettable experience for anyone visiting Northern Ireland on business or for a Belfast city break holiday. Discerning guests will appreciate our exquisitely designed and furnished rooms, reflecting the legacy of Harland & Wolff’s innovative design and craftsmanship, many with views over Titanic Quarter. The magnificent dual Drawing Offices, with their three-storey high barrel-vaulted ceilings, are the only surviving example of this type of shipyard architecture in the world.